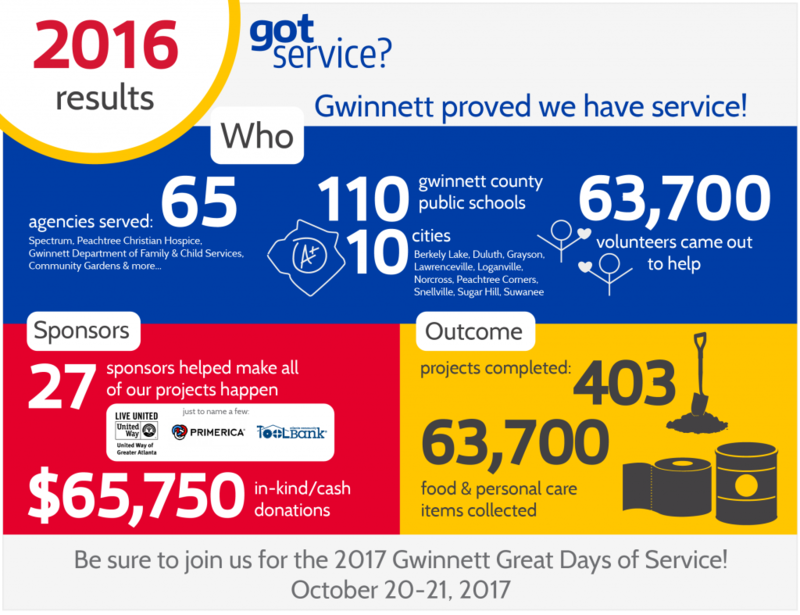 Thank you to everyone who made 2016 an amazing year for the Gwinnett Great Days of Service! Below are some of the amazing numbers that show the big impact all of us made in just two days! Mark your calendar for October 20-21!